class="post-template-default single single-post postid-316726 single-format-standard custom-background group-blog header-image full-width singular wpb-js-composer js-comp-ver-5.7 vc_responsive"
Andrew Wiens (left), chief policy officer for the Governor, and Thad Geiger, vice chair of the Kansas State Board of Agriculture, participated in an agricultural trade mission to Israel in May. 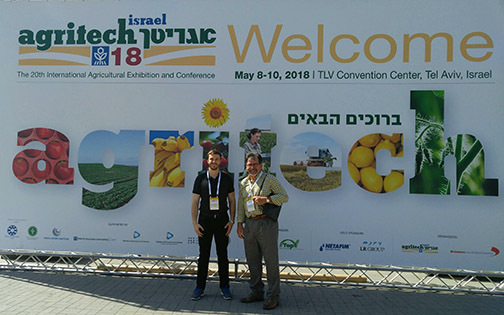 MANHATTAN, Kan. — In May, the Kansas Department of Agriculture participated in a trade mission to Israel to attend three conferences and tour Israel’s agriculture and food-related sectors. Israel is among the leading countries in agricultural and ag-related technologies and is well known for water innovation. In addition, Israel is a key importer of Kansas cereal grains, totaling $100 million over the last three years. The team representing Kansas on the trade mission included Thad Geiger, vice chair of the Kansas State Board of Agriculture, and Andrew Wiens, chief policy officer for Kansas Governor Jeff Colyer, M.D. They joined thirty thousand visitors, exhibitors, companies, researchers and investors from all over the world at Food-Tech IL, Agritech, and Agrivest conferences. 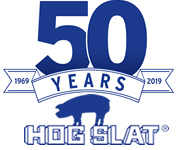 The group was able to cultivate relationships with several potential partners and learn more about issues facing Israel agriculture, especially those related to water conservation which are also important to Kansas agriculture. While in Israel, they had the opportunity to visit premier institutions, tour research and development centers, and attend exclusive briefings by government officials, industry leaders and corporate executives. They participated in impactful business development meetings and networking events with leading companies and emerging startups. The trade mission was sponsored by KDA with planning assistance from welaunch, a U.S.-based social enterprise connecting Israeli companies to business opportunities and resources in a network of U.S. emerging tech markets.